Your job interview isn’t an interrogation. It is simply an exchange of information! Relax and prepare so you’ll feel comfortably confident! 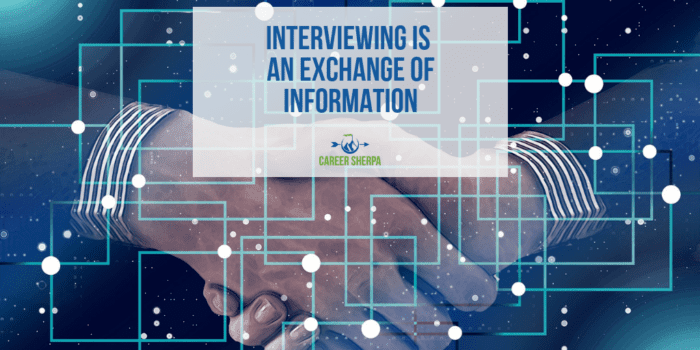 It starts with knowing that the interview is an exchange of information. This is what I mean. The company wants to know about your background and qualifications and just as importantly, you want to know about the details of the job and the people you’ll be working with. Preparing for an interview is so much more than just worrying about the answers you’ll give. You will want to research the people you will be interviewing with, learn about the company, who their clients are, and so much more. Here’s the bottom line. The more information you have and the more prepared you are, the more confident you will appear! Don’t you want to be perceived as the strongest candidate? Well, that can happen if you follow the recommendations below. I realize that may sound obvious to some, but not everyone does it. Whether typed or handwritten, emailed or snail mailed, Thank You Goes a Long Way. Think about the interview objectively and preferably immediately after it is over. Answer the questions in this post: Pay Attention to the Red Flags.